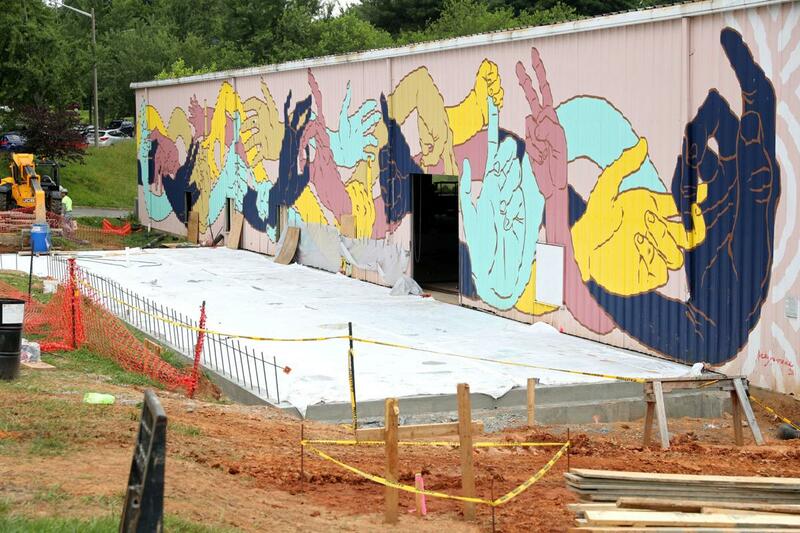 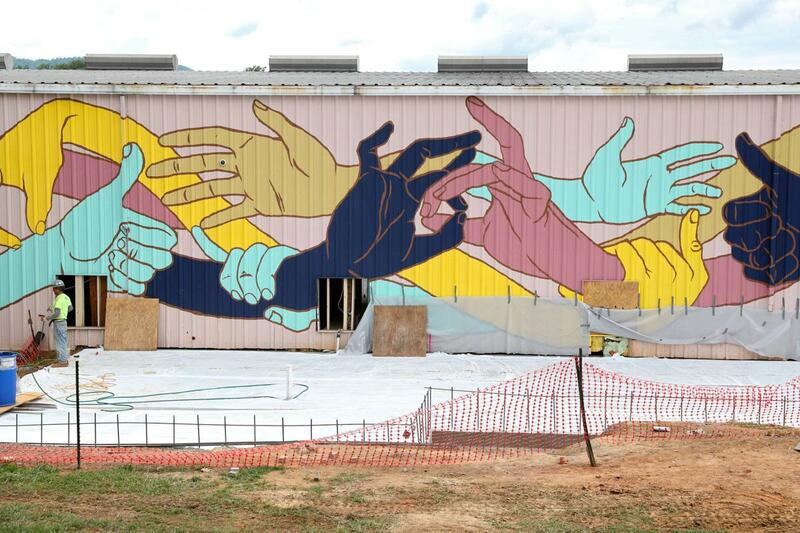 This mural by Avery Lawrence features hands intertwined in a tangle of community. 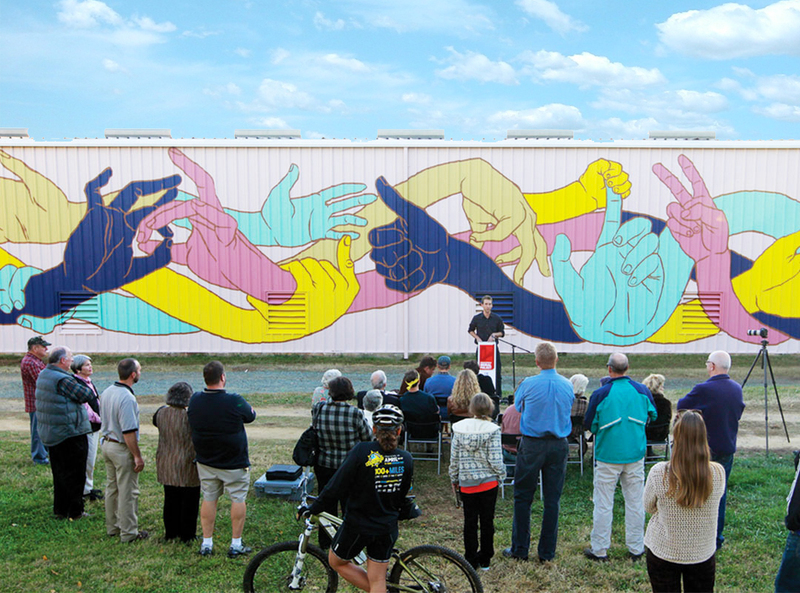 Born in Charlottesville, Lawrence drew inspiration for the design from childhood experiences in Charlottesville. 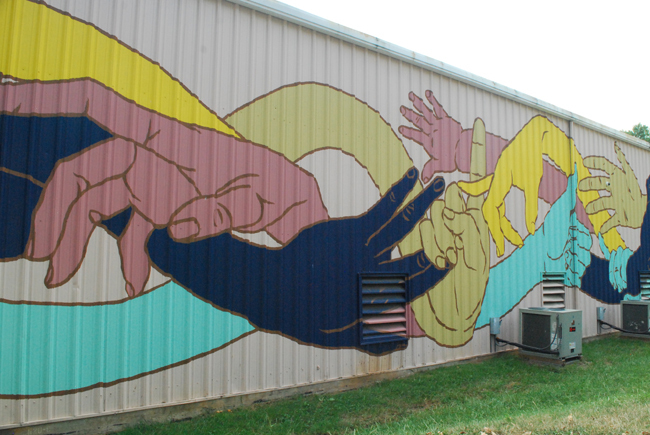 It was painted with a little bit of help from Clark Elementary School students. 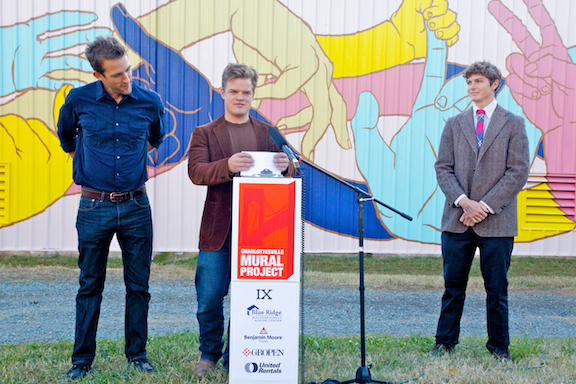 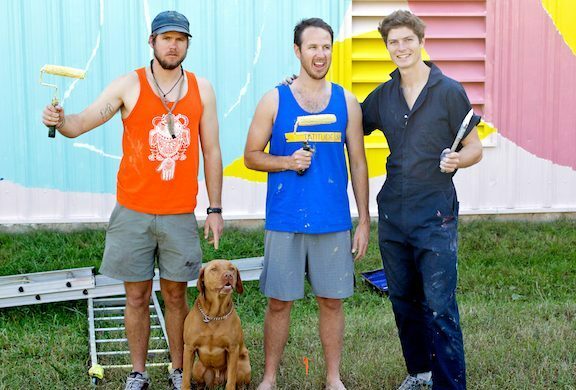 This mural has since been demolished, however, a section of the wall has been relocated to elsewhere on the IX Art Park premises. 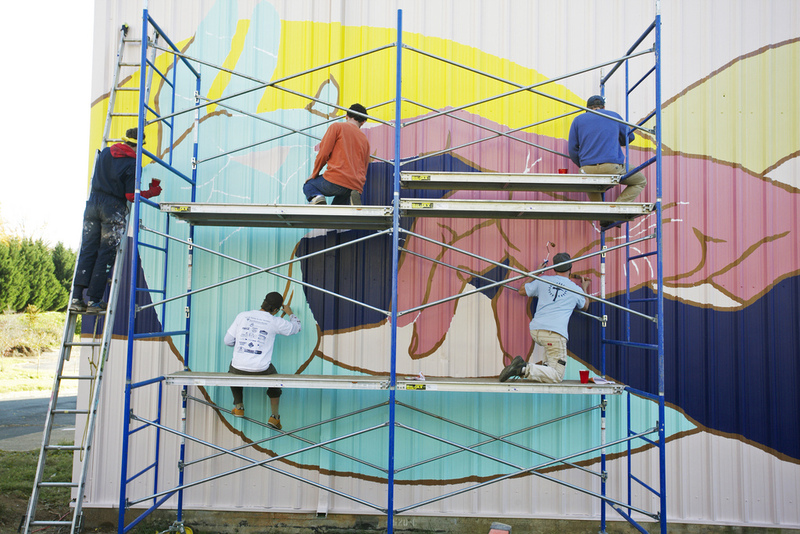 To see more from Avery, click here.